What a special way to hold Christmas Cards: turn this canvas into a card holder with hard sided black fabric exterior, plaid taffeta interior and brass ball feet. Christmas St Cable Car by Raymond Crawford, stitch guide by Laura Rich. 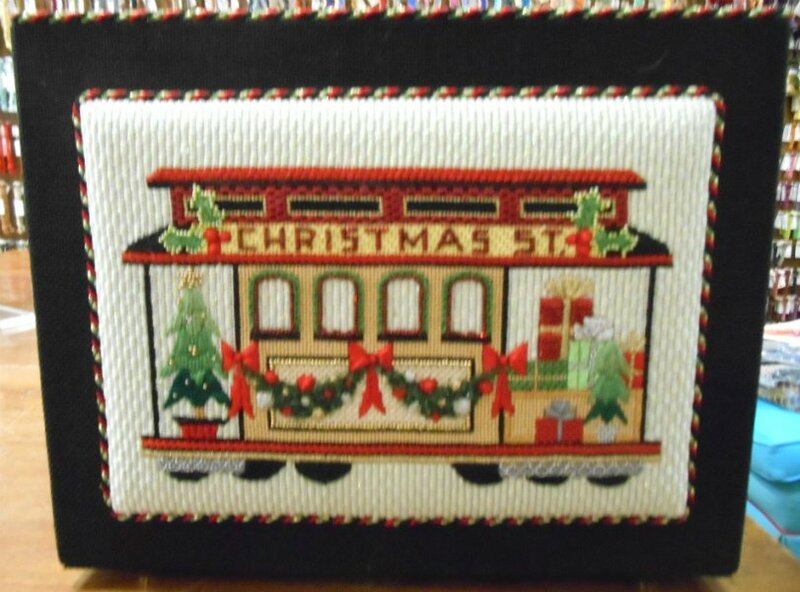 Christmas St Cable Car canvas by Raymond Crawford, stitch guide by Laura Rich.